We celebrated my husband’s birthday this weekend and he asked for something with lemons. 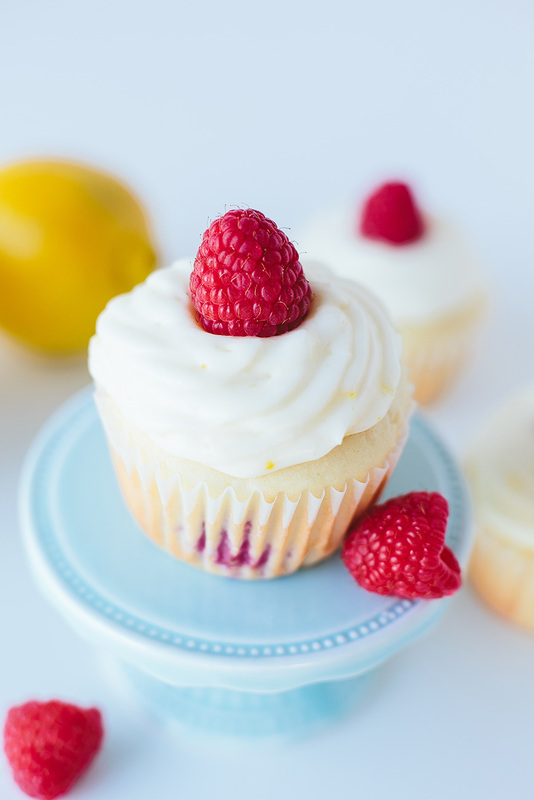 I showed him some ideas on Pinterest and he chose this Raspberry Lemon Cake Recipe made as cupcakes (as those are a lot easier to store in our fridge than a layered cake)! 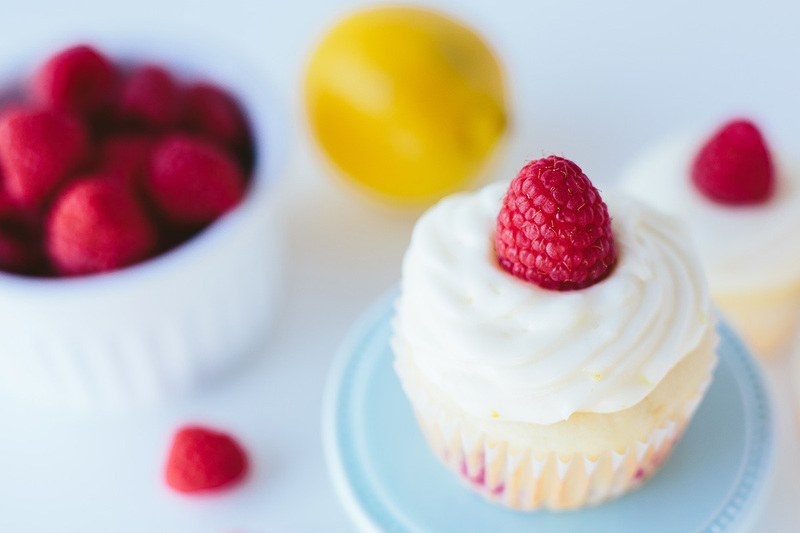 Raspberries are his favourite and who can resist cream cheese icing – with lemons? I photographed many of the steps and included the recipe with directions at the bottom of the post. I know it’s somewhat risky choosing to blog a new-to-me recipe, so I’m glad it turned out delicious! Make sure the butter, eggs and cream cheese are at room temperature. 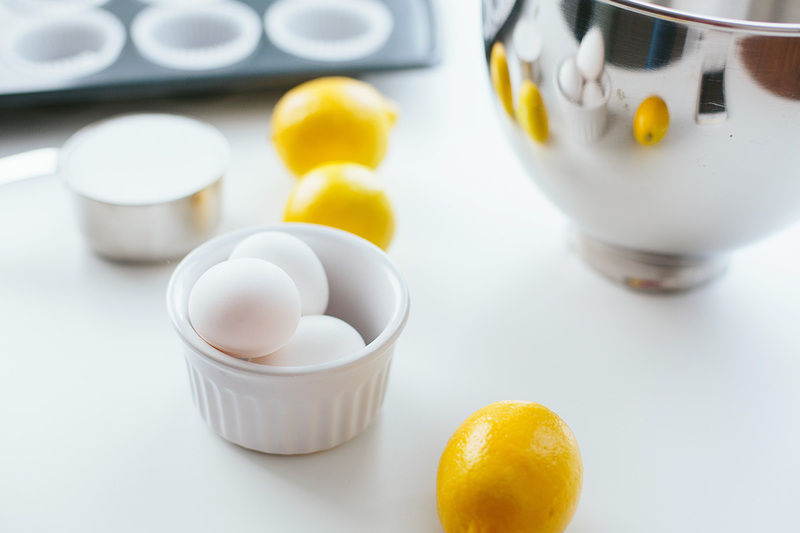 You can bring eggs up to room temperature quickly by putting them in lukewarm water. 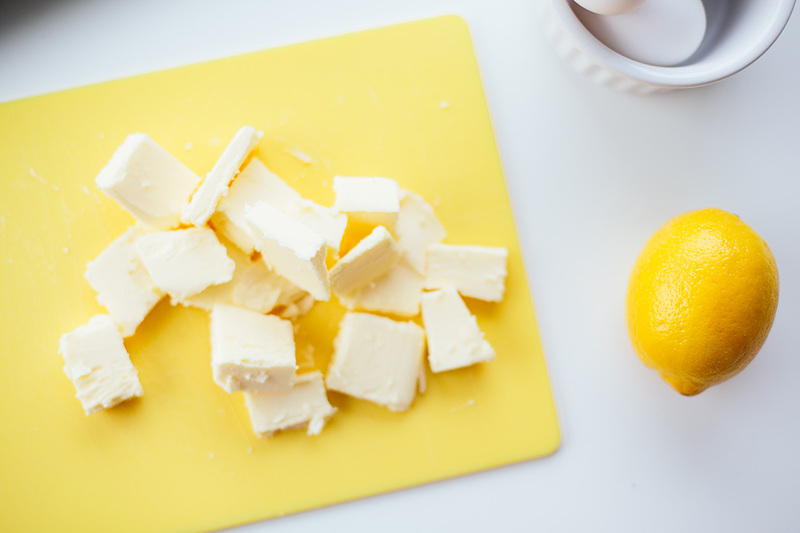 To warm up butter straight out of the fridge, slice it into pieces and wait 10 minutes. Mix in the dry ingredients and then add the greek yogurt (special thanks to Mat for hand modeling). 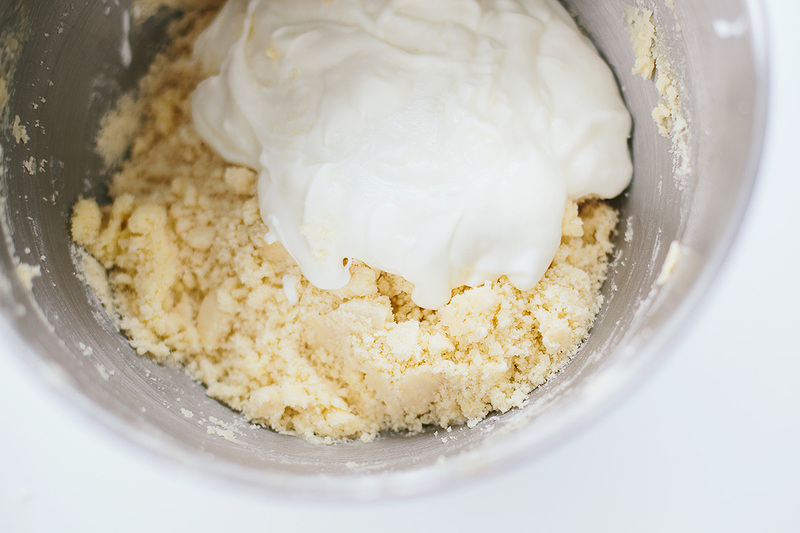 It will be crumbly until you mix it. For the record, I am mixing with a stand mixer. It’s just not pictured because I have a windowless kitchen! Time to fold in the whipped egg whites with your spatula. This is what the batter will look like after the egg whites are folded in. Then it’s time to add some colour with the fresh raspberries! 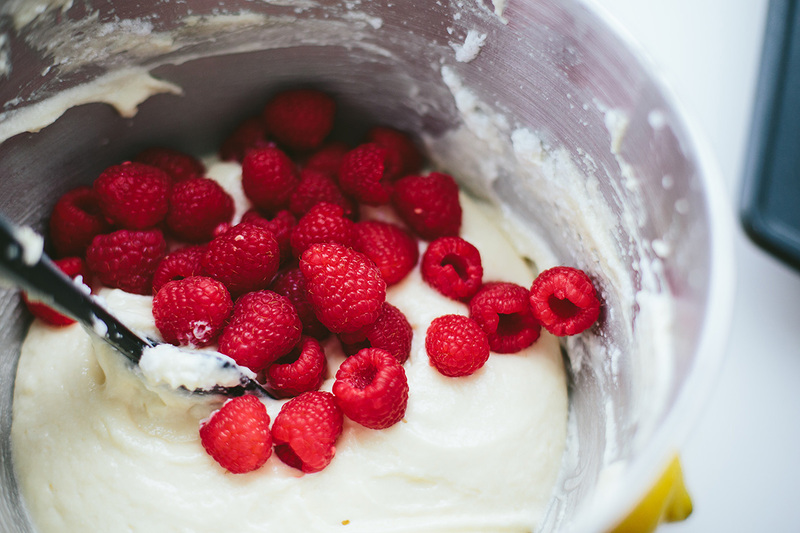 Gently fold the raspberries into the batter. 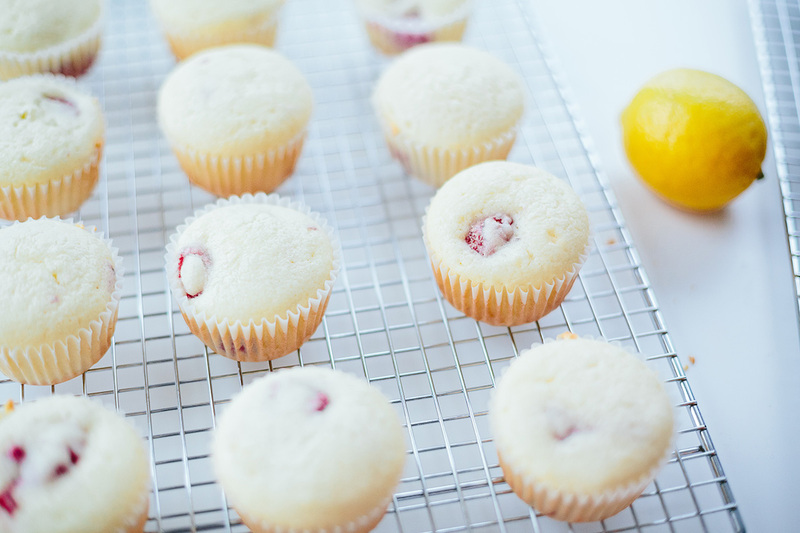 I think I will add some lemon zest at this point the next time I make them as well. Fill the cupcake liners about three-quarters full. I baked mine for 21 minutes, but checked them with a toothpick around 18 minutes. Let cool 10 minutes, then remove from the pans. This icing is best to just spread over the cooled cupcakes. I had originally planned to pipe this frosting, but soon found out it is more of a medium consistency due to the cream cheese to butter ratio even though the original recipe calls it a buttercream. I chilled it in the fridge overnight, and it was still somewhat soft the next day. Easier to pipe than before, but I just switched to spreading it on the cupcakes eventually. 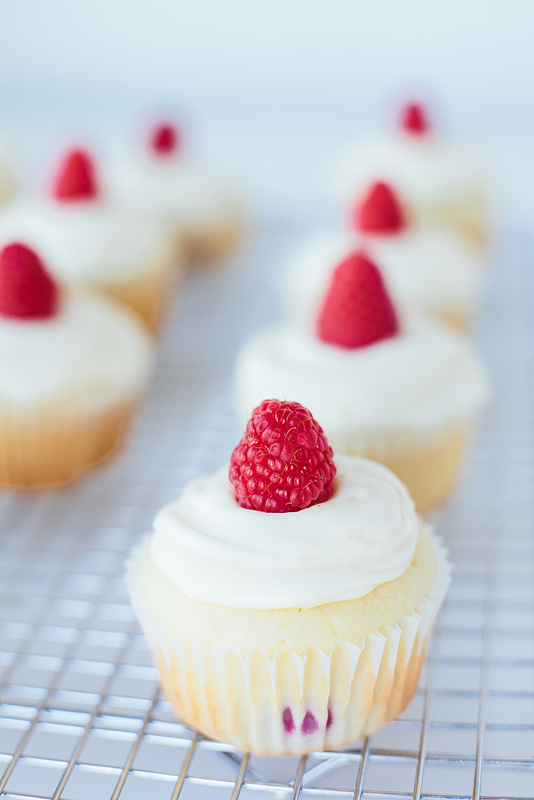 Raspberry Cupcakes with Lemon Cream Cheese Frosting. Makes 18 Cupcakes. Preheat the oven to 320°F. Prepare two muffin pans with 18 cupcake liners. 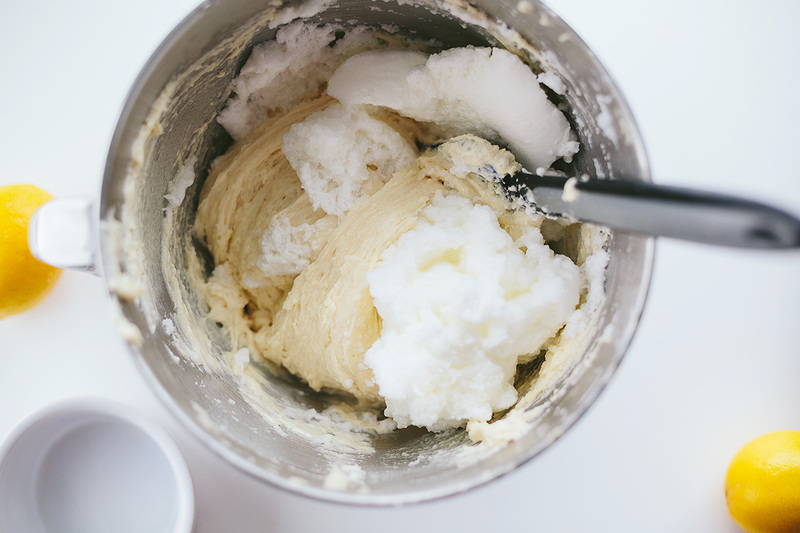 Cream the butter and sugar until light and fluffy and pale in colour. 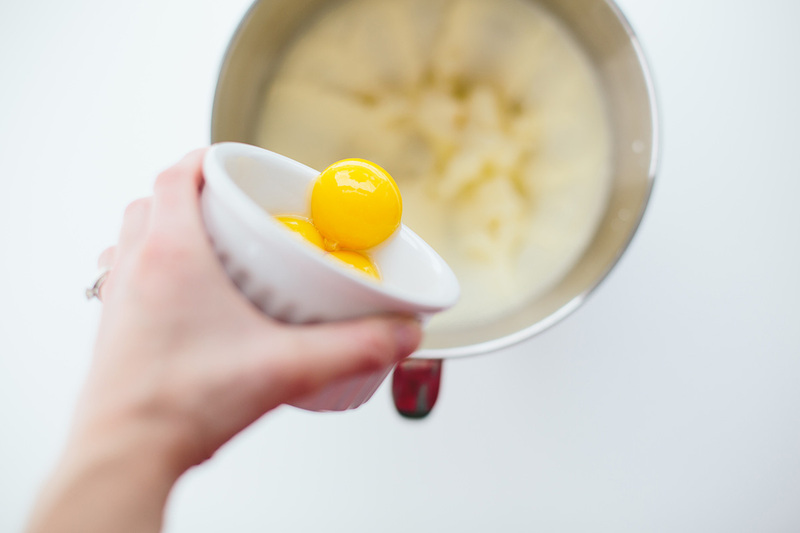 Add the egg yolks one at a time, mixing after each addition. Scrape down sides of bowl. Add the flour, baking powder, baking soda, salt and mix until mostly combined. 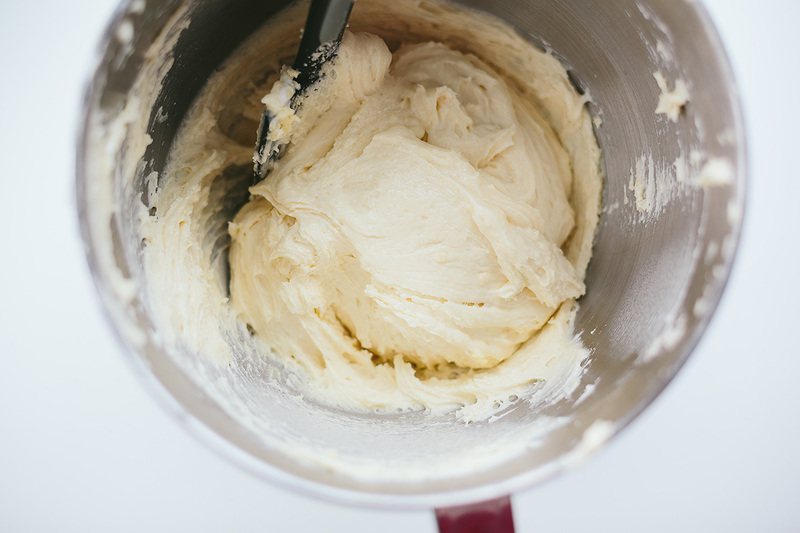 In a separate bowl, beat the egg whites to medium peaks and fold into the cake batter. 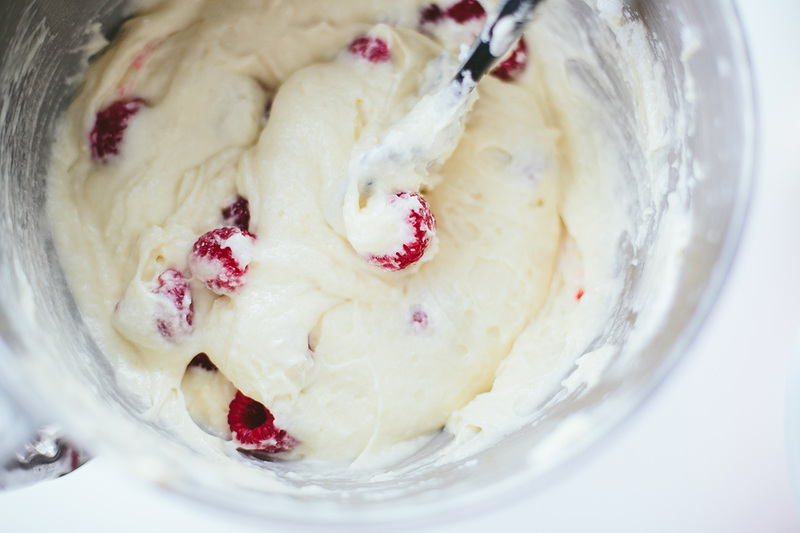 Fold the raspberries into the cake batter. Scoop batter into paper liners to about three-quarters full. Bake 19-22 minutes or until a toothpick comes out clean. (Mine baked for 21 minutes). 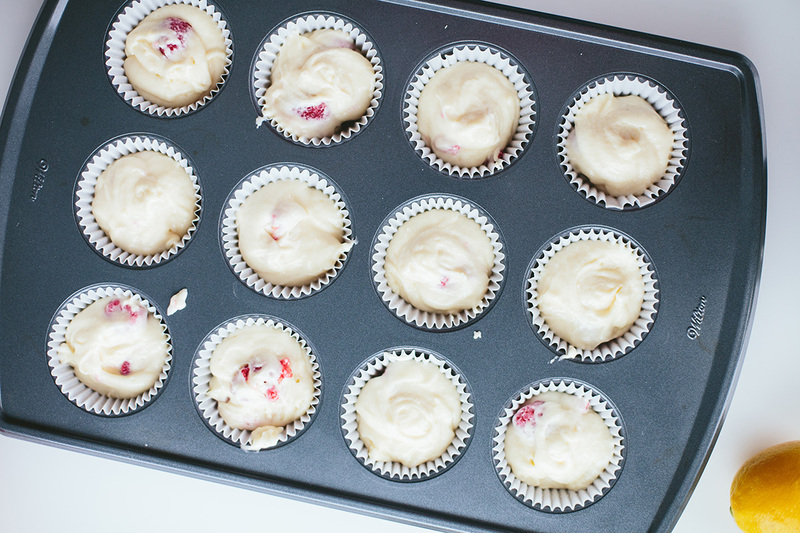 Let the cupcakes cool in the pan for about 10 minutes, then transfer to wire racks to cool completely. 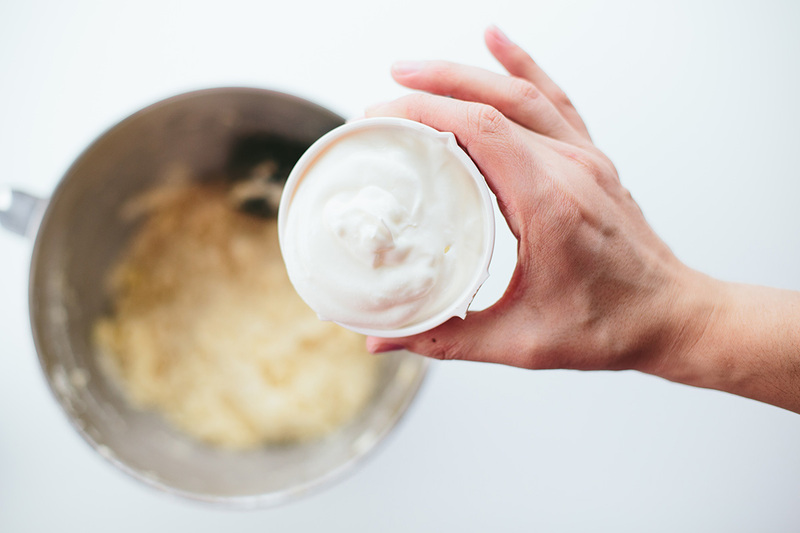 For the frosting, cream the cream cheese and butter until smooth. Add the lemon zest and juice and salt and mix until combined. Slowly add the icing sugar and mix until combined. I used 4½ cups icing sugar to balance the lemon juice. I recommend taste testing (always)! Mix on medium-high speed for a couple minutes to add volume. Chill frosting in the fridge to thicken or spread on cooled cupcakes. Store cupcakes in refrigerator. 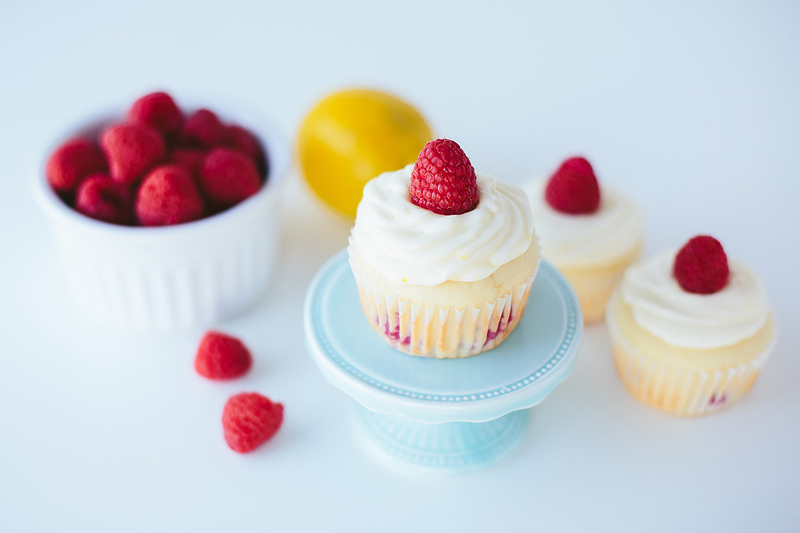 Optionally top with raspberries before eating. Frosting Note: this is a soft frosting and is best for spreading on the cupcakes rather than piping. See my comments above.